especially when we lose someone or something we hold dear. This article explores the best way to handle the gaping hole that opens up when that happens. Christmas is a time of New Beginnings and of Celebration here on earth, but it's also a time when many people leave the planet. Loss of someone close or even something you hold dear is never easy, but an especially hard knock during the festive season. This year I have also lost two very good and much cherished friends, although as a medium, I have no doubts that they live on. But we too have to learn to 'live on', or to thrive rather than just survive in the shadow of that loss. I believe our loved ones are quite literally 're-born' into a 'Higher Life'; one that doesn't need a physical body, and that they can communicate through a medium like me to give proof of survival. 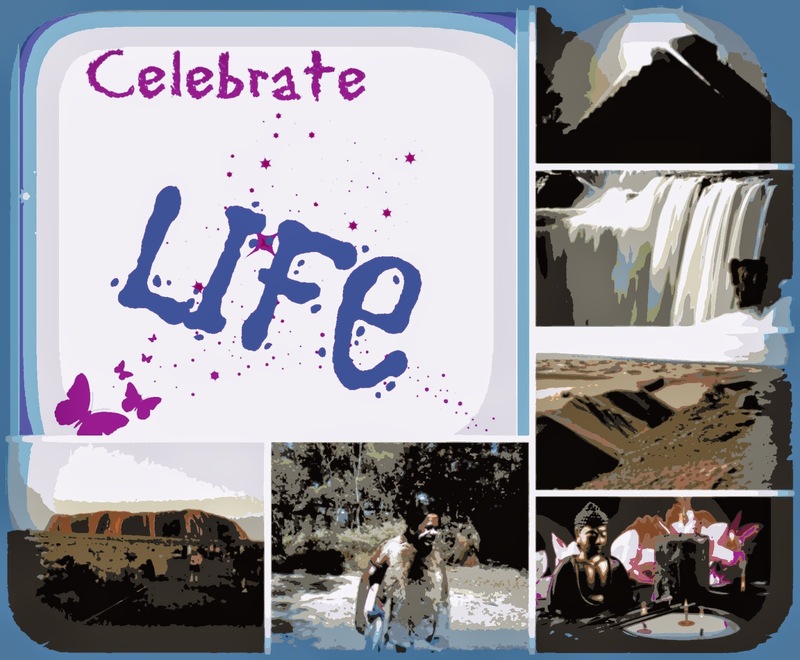 No-one wants to have their loved ones suffer any longer than necessary so I am always happy to celebrate their lives and wish them well on their journey. And I have no doubt that once they reach the other side of life, they quickly thrive in their new surroundings, and come back to proclaim it loud and clear. But what about us, the ones that are left behind? How can we learn to thrive rather than exist in the shadows of our own lives. After all, death is one of the biggest taboos here in western society even before it comes to call on each of us. How can we learn to thrive rather than merely survive when our lives have been touched by its shadow? Life just doesn't go on as normal of course. It can't do, the person or thing we care most about is no longer with us. So not only are our loved ones beginning a new journey, 'on the other side of life' (where they are healed and supported by the Spirit World as they get to know the place), we are also on a journey as well, and it's important we acknowledge it. They call it a transition. Our loved ones make the transition into the Higher Life but we make a transition too even though we hang around on earth for at least a while longer The transition is a step by step process during which we ease ourselves into our new lives. It involves coming to terms with all the emotions, doubts and fear that have been stirred up as we get to grips with our loss. In short it involves taking a long hard look at the gap rather than trying to shy away from it, and cracking our beliefs about death wide open. And when we dare to face our fears an amazing thing happen; a whole new way of life opens up. As one door closes in Life, another one really does open (into a Higher Life). We can't just gloss over the gap and pretend it's not there; it's a stairway meant to be climbed one step at a time until you reach the top of your own personal mountain, and life will never be the same again. Life and Death are just different sides to the same coin....and the gap is your passport to a deeper understanding of death as an ongoing part of the natural process of life, rather than a door being slammed shut in your face. It isn't a once off happening. in one way or another throughout our lives. onto the next rung of existence. 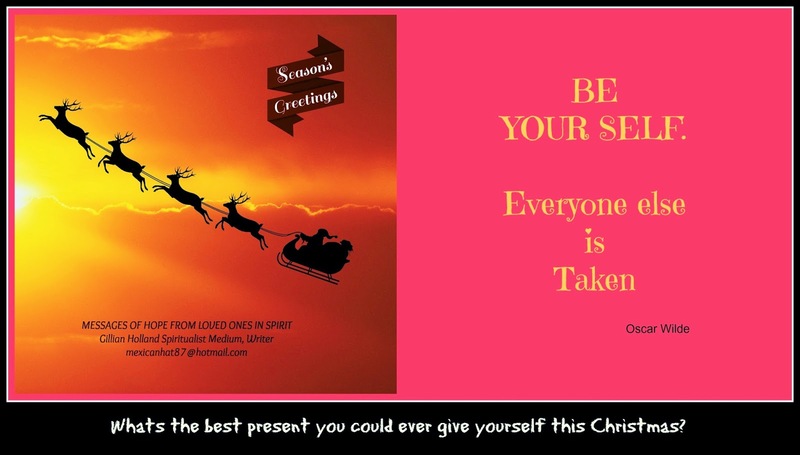 As a medium, I believe the greatest gift we can give our clients is the gift of hope, and the opportunity to look at life from a different perspective. Whilst it doesn't deaden the pain of that loss, it does opening up an avenue of hope and a deeper understanding of life. 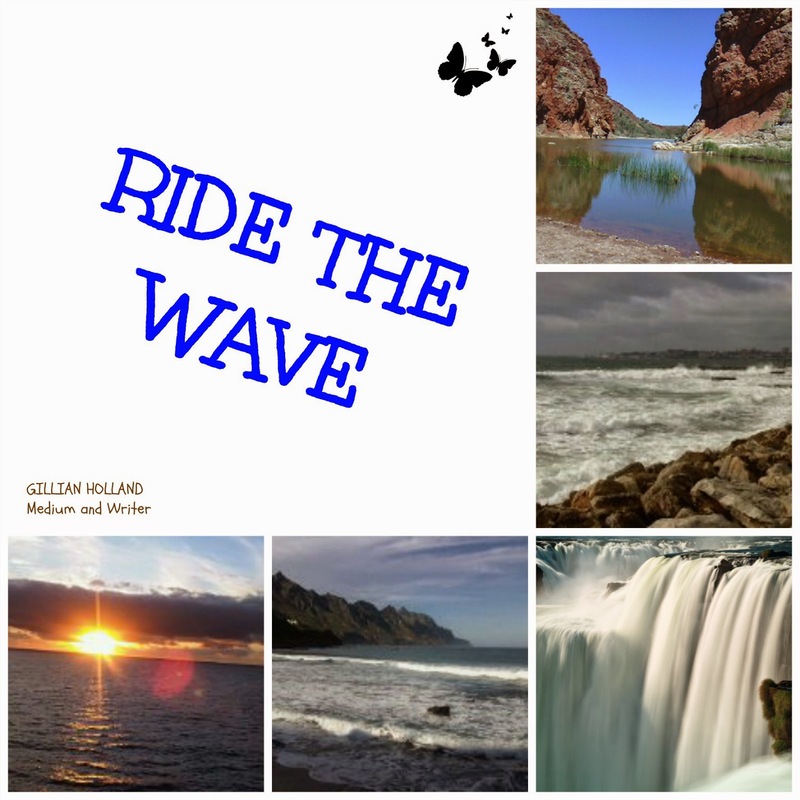 Ride the Wave of Life - when caring can be too much! Life grinds to a halt when we care too much and aren't prepared to take risks. My first ride on the roller coaster at Chessington was a real revelation, teaching me a great deal about life and the way we approach it. Roller Coasters were something I always avoided well into adult life. When I finally steeled myself to do it, I had a whale of a time, screaming much louder than anyone else on board,that's including the kids. Of course I clambered back on again and again and again, still screaming half fearfully, half in exhilaration ending the day with a red, raw throat. In spite of all that, I was thoroughly pleased with myself. 'I felt the fear, and did it anyway!' What's more it really did help my confidence. Life's like that; full of things we would rather avoid but sometimes just can't afford to Being aware of and accepting our feelings really does help up through, Life is indeed just like a wave with a whole series of ups and downs. Embracing the wave gives us the confidence to embrace life. Trying to battle against the tide is self-defeating. We need to befriend our feelings and fears. There's no point battling upstream when the currents carrying you in the other direction. Each wave has a natural ebb and flow, just like any roller coaster, so we need to appreciate the ebb as much as the flow. When we are aware of our feelings and what they mean for us, we can use the ebb to let go of our fears and use the momentum to move us forward. Feelings are just that feelings..They are our friends. We've given them labels according to their intensity, but in reality its denying what we are feeling makes us feel worse and ready to explode at the slightest thing. We dam our feelings up when we care too much what other people think. And we dam up our feelings to avoid being ridiculed. It is a tough one this, but when we care too much about what other people think, we are not being true to ourselves.And we are damming up our feelings, caring so much about other people but at our own expense. When I was on that roller coaster, each dip created enough momentum to keep moving forward. Life's like! Expressing our feelings creates the energy to let us move forward. I did lots of screaming as I have already said.This probably wasn't to everyone else's liking, but it was me being me. It was me celebrating life like crazy. It was me living life on the edge pushing back my boundaries. It was me having a whale of a time. It was me embracing the wave, overcoming my fears and enjoying the ride. So one question, do you care enough about yourself to let go or at least consider letting go of the fears that have stopped you from riding the wave of your own life. it's time we stopped and listened to the whispers of our Soul. I'd say you are worth it. I'd say we are all worth it. I believe messages come in many different ways. It's not so much the words themselves but the feeling behind them which makes all the difference. I believe a 'silent' message can be much more empowering and therefore healing and set you back on the right track when necessary. Feelings are not so much the icing on the cake but the corner stone of any message whether its from the Angels or from our loved ones. When Spirit or the Angels come to call, they quite literally open a doorway into the higher dimensions. The doorway very much depends on the needs of that particular person at that time, but it is always loving and therefore healing as well as inspiring. Its amazing the way the energy shifts according to who's communicating. Sometimes we need to know some-one's in our corner when we need them. Then there's nothing like feeling the comfort of Angelic wings enfolding us . I, for one, have been known to shed a tear or two when that happens. When we feel vulnerable, we very often want to be told what to do but that isn't very often the best way forward and part of my work is to ensure that people take personal responsibility for their life. The amazing thing is wordless messages can put you back in touch with your own inner knowing and that's the most important thing. After all Uncle Bert or Aunty Elsie may want to give you their advice, but if it wasn't right for you when they where here on earth, would it really be any different for you now. I lost a very good friend only a few weeks ago. And no matter how much I know about Spiritualism and life hereafter, I still feel the physical loss as we all do. It is only natural. Loss creates a huge void. But Archangel Azrael's message is very special. He reminds us that Heaven and Earth aren't two separate things, but part of the same whole. So that although we may no longer be living side by side with our loved ones here on Earth, they are thriving on 'the other side'. The magic is more and more people are becoming aware of the world of Spirit and you could be one of them. Even though you may no longer be able to communicate with your loved ones in the way that you did on the earth, they are living at a higher level of consciousness and will want to let you know they are okay. But our grieving and deep sense of loss can get in the way. 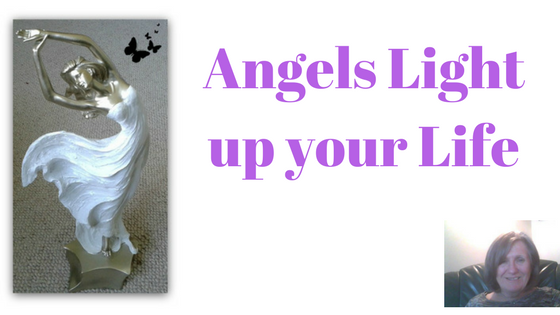 That's why I think the Angels are working flat out along with Azrael's energy to reassure us that 'there is no death'.. His energy is wonderfully calming and peaceful and very easy to pick up. So once we become calmer, its easier for the Spirit world to communicate with us. In that calm, we will find a peace and deeper understanding of life, and know that our loved ones are just a whisper away. Putting the sunshine back into your life! Its wonderful to finally have some sunshine. I haven't seen Gadebridge Park in Hemel so busy in ages; families enjoying the weather, after the awful winter we've had. 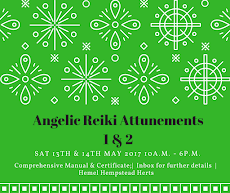 The next few weeks are going to be really busy work wise, including the workshop I am running on Sunday to celebrate Spring Equinox. 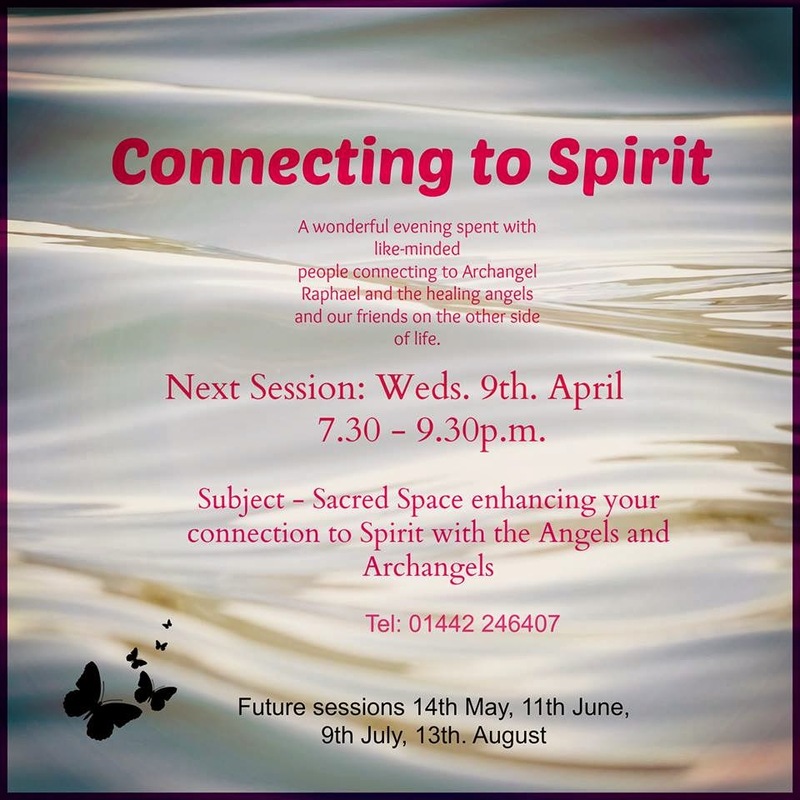 Last Wednesday however saw the first Connecting to Spirit evening workshop at Enchanted Oak in the Old High Street Hemel Hempstead. 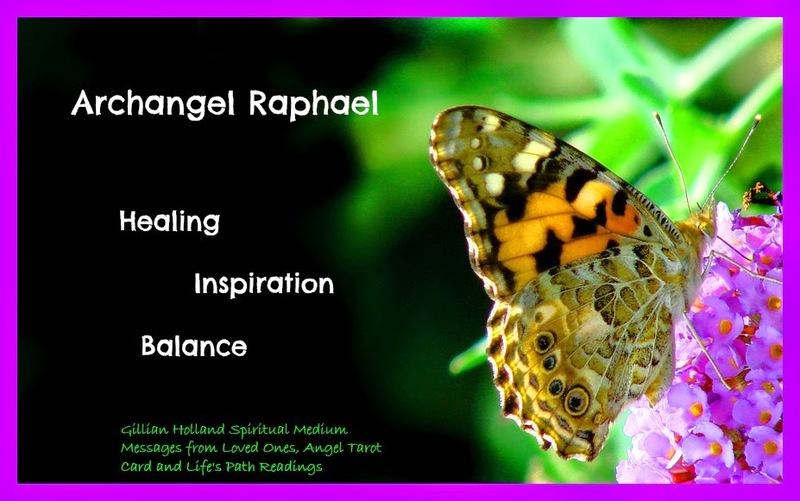 We spent time working with Archangel Raphael. 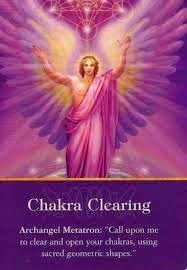 As you probably know he is a very powerful healing angel who has his own band of healing angels working with him. His energy is like a breath of fresh air. 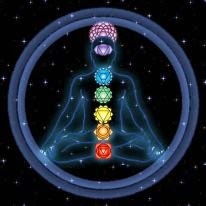 Very interesting since he not only works with the heart chakra but also breath and breathing. I spent time talking about the importance of proper grounding in your spiritual work and the root chakra. This is an absolute essential if you are interesting in mediumship and clairvoyance. You can't see clearly if you are not properly grounded. The energy around you can feel quite murky and heavy, because its easier to pick up on other people's negative thoughts and emotions if you are not properly grounded yourself. If this is the case,it's easy to go from feeling on top of the world to completely down in the dumps in seconds flat. Although Eckhart Tolle has written some excellent books on the 'Power of Now', most of us find that extremely difficult considering the stresses and strains we have to put up with in life. Sometimes, we are in such turmoil, maybe even shock, that we are no longer properly grounded, or 'with it'. When that happens to me I feel really woolly headed and then have to visualise roots growing out from the souls of my feet digging down into the earth. This usually clears my head in seconds flat thank goodness. Now the good news is that getting out in nature is perhaps the best and most effective way to bring yourself back down to earth and clearing your head. Why not capitalise on it now that the sun's finally put in an appearance and just take note of just how much better you feel out in the fresh air. We still have a couple of places left. Details of the next workshop are at the top of this page. By the way our work will include giving simple Angel Card Readings as well as Connecting to your loved ones on the other side of life. 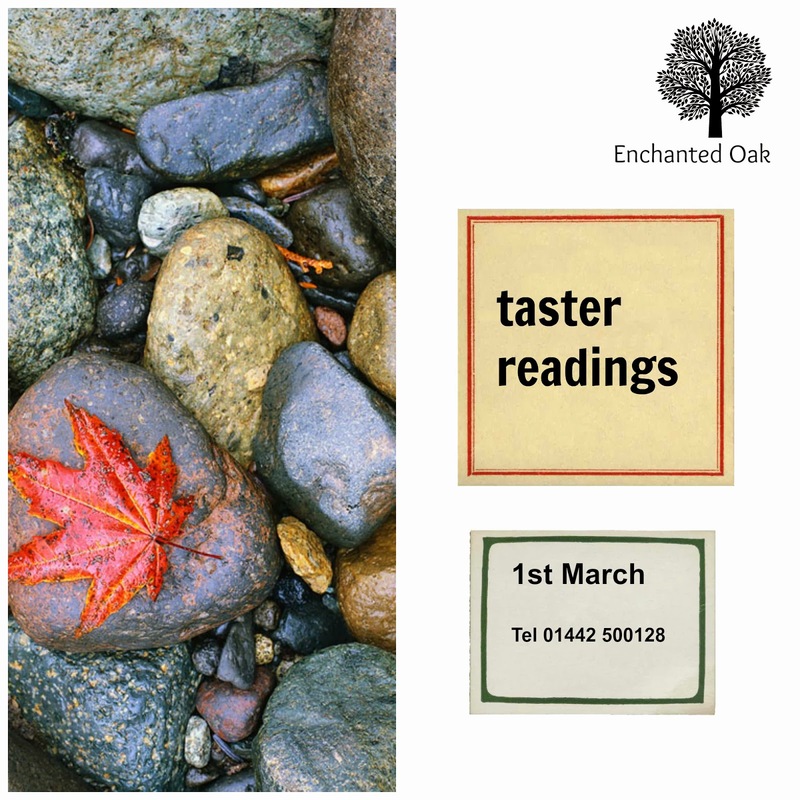 Gillian is offering Taster Readings at the Enchanted Oak. She is an international medium of many years standing, and loves the work she does for Spirit. assistance when you are at a crossroads in your life. Most people book a reading for one of the three reasons above. You will get a better and more focused reading if you have something particular in mind. A taster reading is a good way to sample what its all about. These are approximately twenty minutes long, and designed to give you an overview of what's going on. Later on, if you feel its appropriate, you could book for an in-depth reading with Gillian. Although you may wish to communicate with some-one in particular, it's best to come with an open mind. Sometimes, other relatives and friends may come through first of all to set the scene. So be patient. A reading of this nature can be a deeply healing experience, and can help you to look at life quite differently. This reading helps you connect to your Soul's purpose in this life-time. We all have a reason for being here. When we are on track with this purpose, our life may flow with greater ease. Ideal if you are embarking on a spiritual journey. You could also get a connection to a Guide who is assisting you on your journey. If it's appropriate Gillian uses Angel tarot cards as well. Readings are invaluable if you find yourself at a crossroads in life, and are looking for direction. This reading could also connect you to your life's purpose. Have you ever wondered why your dreams aren't manifesting as quickly as you had hoped? Come along and you will find some of the answers in this workshop. I am really excited having just come back from the Sanctuary at the Enchanted Oak Spiritual and Holistic Centre in the old High Street. It's the separate building at the back of the shop. It's a small and intimate space just right for our workshop on Saturday. Decorated in purple and beige, the energy is really so serene and welcoming. As you open the door the image of the Buddha waiting to greet you adds to the wonderful ambience. I know Helen and Chris have put a lot of work in to manifest their vision for this centre. 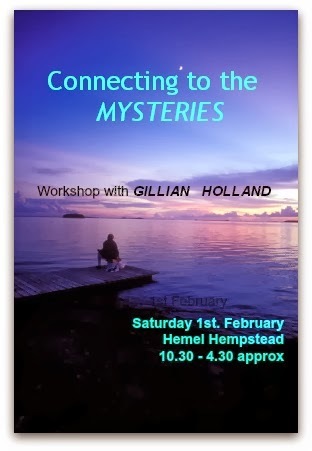 I can't quite believe that my workshop 'Connecting to the Mysteries' will be the first ever in that space. There'll be visualisations and mediations throughout the day. Mp3 recording to listen to the tracks at home afterwards. Ever wondered why New Years Resolutions don't work? 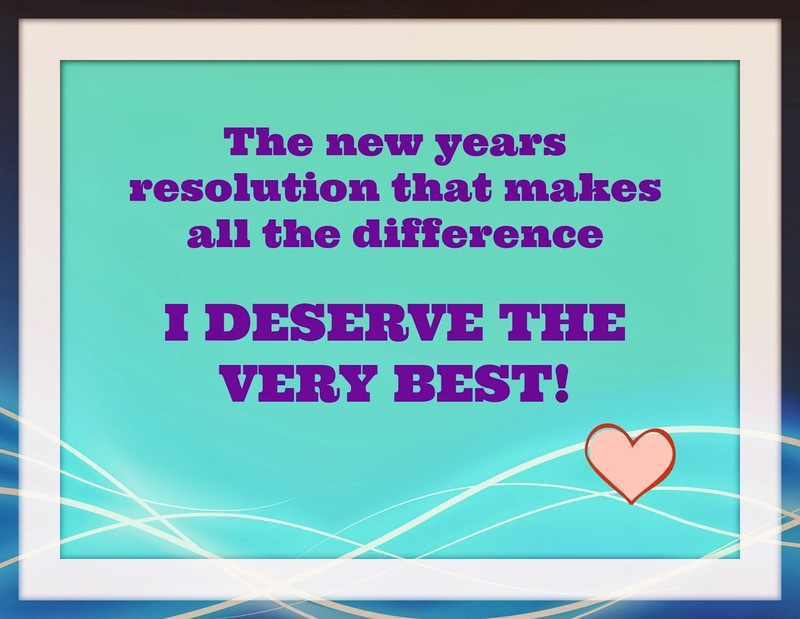 Make 'I deserve the very best' your core resolution. Place it right at the heart of your life! And with this basic belief in mind, your resolutions should follow with much greater ease. Let's face it most of us have a pretty poor track record when it comes to keeping up our new years resolutions. We usually flunk inside the first month and so I think its all down to the way we treat ourselves. 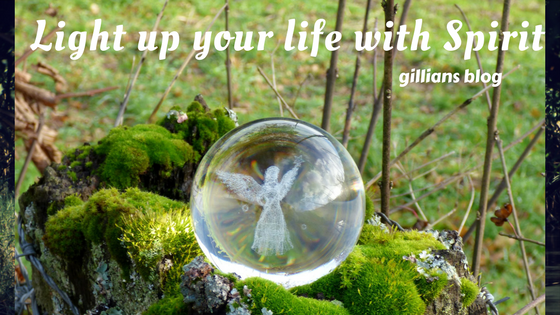 My blog is all about the way Spirit literally transforms and lights up your life. And yet what do we do? Close the door to Spirit, by filling our heads with much too much negative self-talk. I know from personal experience just how disheartening this is. So much so that we are in grave danger of giving up, dampening our enthusiasm down and in effect becoming dis-spirited! Next time you feel yourself straying. Stop, take a deep breath and acknowledge 'you deserve the very best.' Pause in the moment, reflect on the decision that lead you to seek change. You had good reason. And yes, once again, 'you deserve the very best!' What inspired you to make this choice? Light up your Life with Spirit, refuse to dampen yourself down.